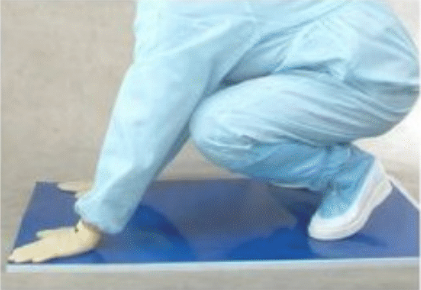 Envirosafe Ireland’s Tacky/Sticky Mats are great for keeping your critical areas clean from footborne contamination. Tacky Mats offer a low-cost way to remove debris from the soles of shoes and the wheels of trolleys. Each Tacky Mat has 30 layers, making them very economical. When the mat gets dirty, just peel off a new layer. 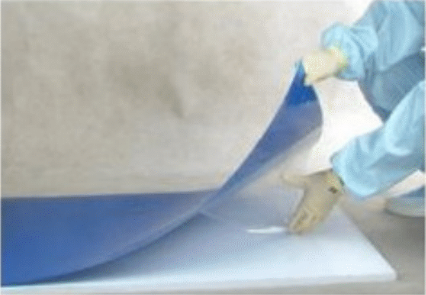 Tacky/Sticky Mats are composed of 30 layers adhesive coated PE film. 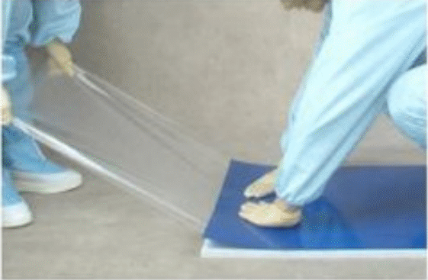 The first layer of the Tacky Mat is a clear protective film with non-adhesive surface, which is used for protection during storage. This layer is peeled off and discarded before use. 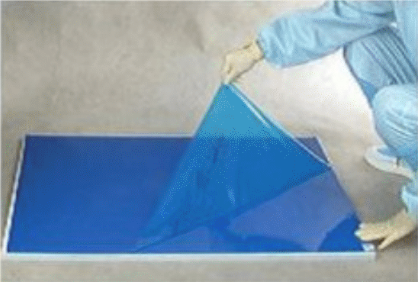 The remaining layers of the Tacky Mat are adhesive PE film. These are adhesive on the upper side and are labelled 1 to 30. They can be easily peeled off. The 30th layer of the Tacky Mat has double adhesive PE film allowing the mat to adhere to the floor without slipping. Press one corner of the mat to the floor and slowly smooth out the mat until it is completely adhered to the floor. The mat is now ready for use. The specially formulated non-transferring adhesive will capture the dirt and dust from anything that moves across the mat’s surface.